Footlight Productions was formed in 2003 by Peter Wills. With an extensive background in local theatre spanning more than thirty years, Peter has performed many on-stage roles and worked as a producer, director, costume coordinator, marketing director and as part of back stage crews. Footlight Productions provides Geelong audiences with more opportunities to witness the wide range of highly skilled performers from our local area and also gives more people the chance to perform on stage under the leadership of an experienced and supportive production team. Since it’s inception, Footlight has enjoyed great success with the staging of some of the most successful musicals in Geelong. These include the very popular Joseph And The Amazing Technicolor Dreamcoat, the phenomenal Cats, The Boy From Oz , West Side Story, Sweet Charity, the blockbusting Les Miserables and local premiere productions of Miss Saigon, Mary Poppins and Wicked. Since their first production in 2003, more than 300 people have performed on stage in a Footlight Production and we have built up a very loyal group of people working alongside us and sharing their talents. Footlight continues to attract performers and directors from Melbourne, enabling the cast to work with highly respected and passionate people. Footlight Productions has taken on some big challenges since 2003 and is now recognised as an innovative and dynamic theatre company, not only within the Geelong region but also in the wider Victorian community. Tickets to Footlight shows are available through the GPAC Website, www.gpac.org.au. 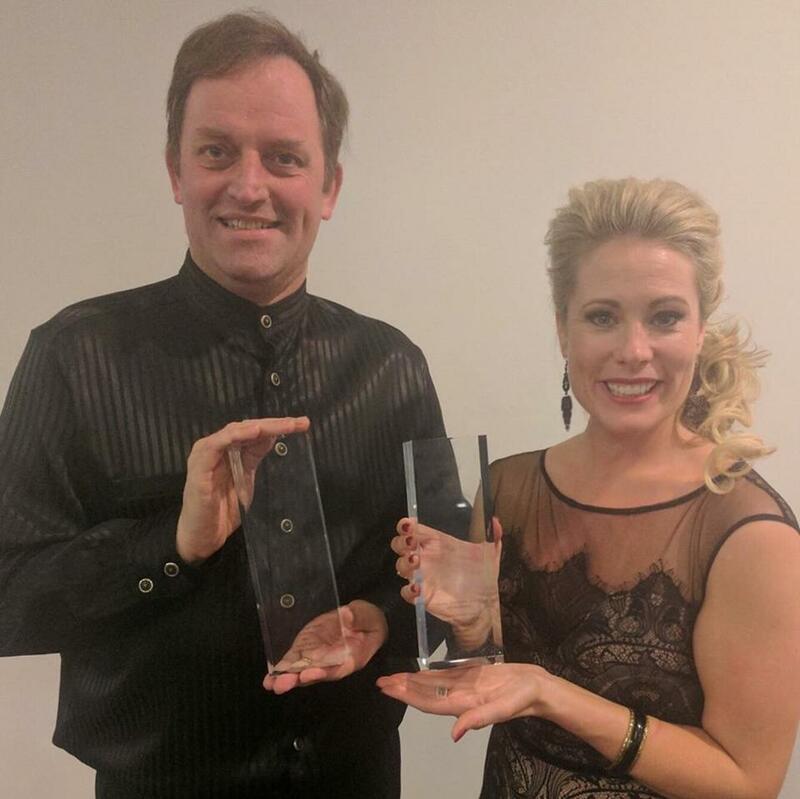 Top Left: Peter Wills and Sophie Collins accept Victorian Music Theatre Guild awards for Mary Poppins. Bottom Left: Victorian Music Theatre Guild awards for Les Miserables in 2013.